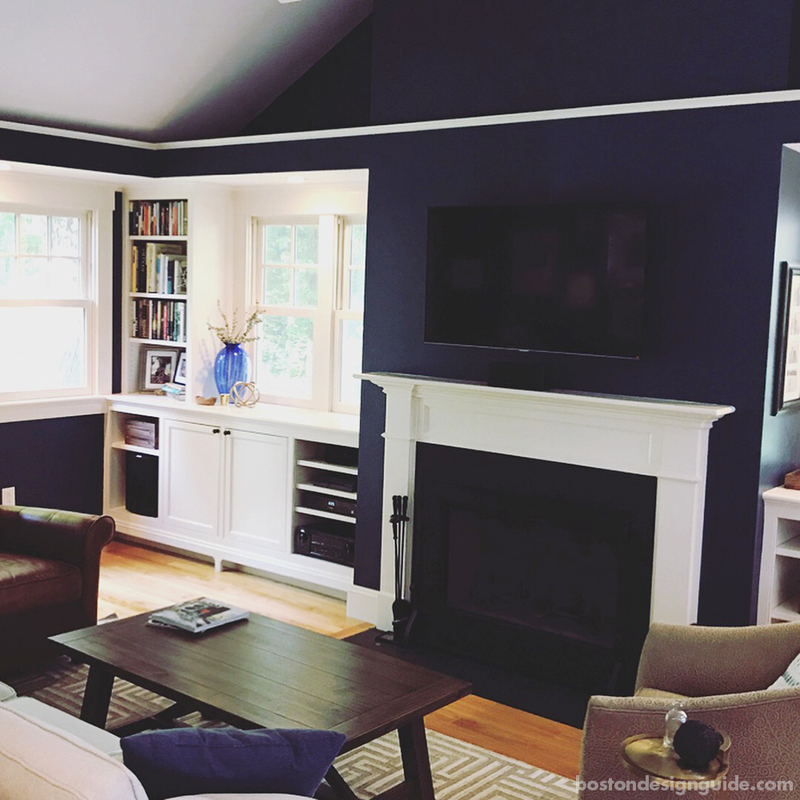 Columbia Contracting Corp.’s Director of Operations and her Project Manager husband, Derek Durrane, transformed their Three-Quarter Cape. It’s always a treat to be invited into the homes of builders, so we were thrilled when Kate Durrane, Director of Operations for Columbia Contracting Corp. invited us in to see how their two-bedroom, one-bath Cape has evolved since she and husband Derek, a project manager for Columbia Contracting Corp., made the purchase 12 years ago. 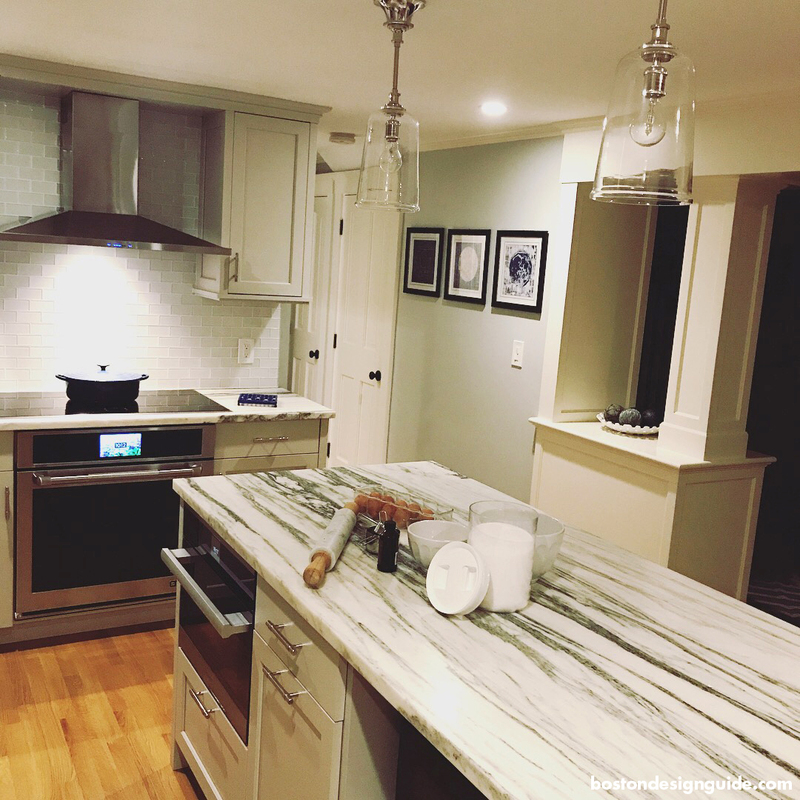 Clearly, membership in the top building circle in the Boston area has its privileges; the couple has created a classic home that has more than fit the needs of their growing family, and it’s gorgeous to boot. Of course, the redo meant working weekends on their own residence for years (after working all week), changing the layout where needed, adding windows and insulation, elevating the flooring to get heat into the living spaces, constructing new stairs, and eventually, tackling an addition, where they would “build up” rather than add mass, by removing the ridge beam, adding five feet and putting the roof back on. The couple’s first move was to change the Cape’s breezeway into a mudroom and small office just inside the front door and give them more space. 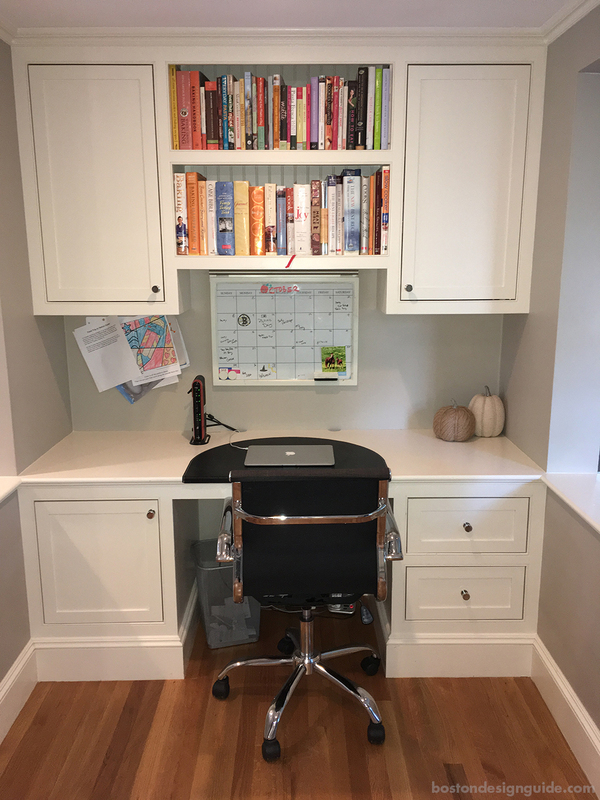 To do so, they repositioned the door and raised the floor (it was a slab and unheated) and crafted a built-in desk and cabinetry. 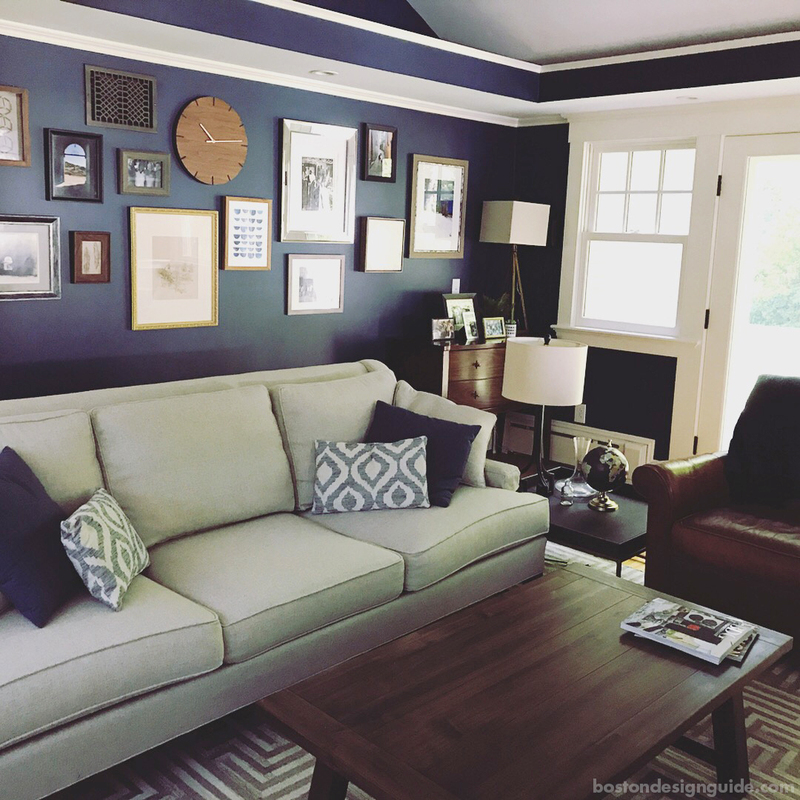 Today, the area is “the most used space in the house,” says Kate, and a necessity for the family of four. 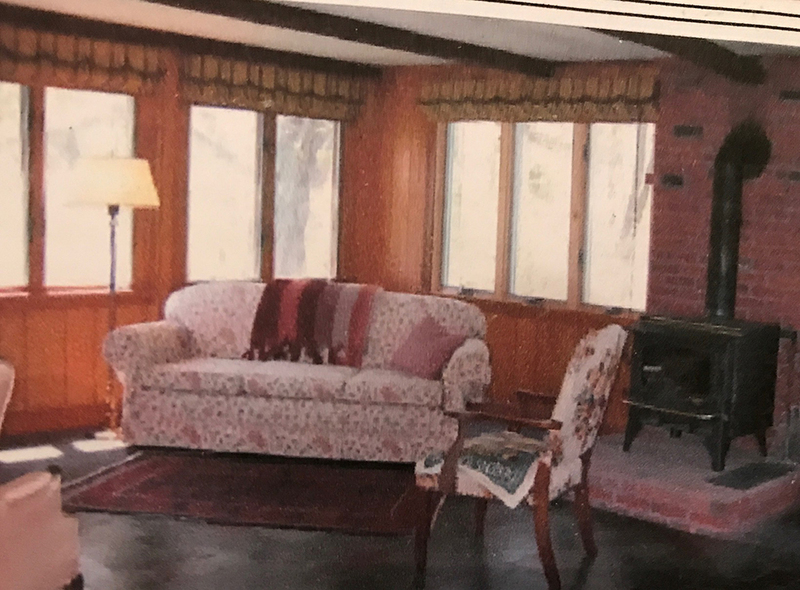 Swapping a three-season porch with a wood-burning stove for a comfortable—and striking—living room was next on their list. Initially, you had to access the space via sliders through the kitchen, but the Durranes connected it to the office area for a more open plan. To achieve the room they wanted, they rebuilt the roof, put in all of the windows and insulated the entire cavity. 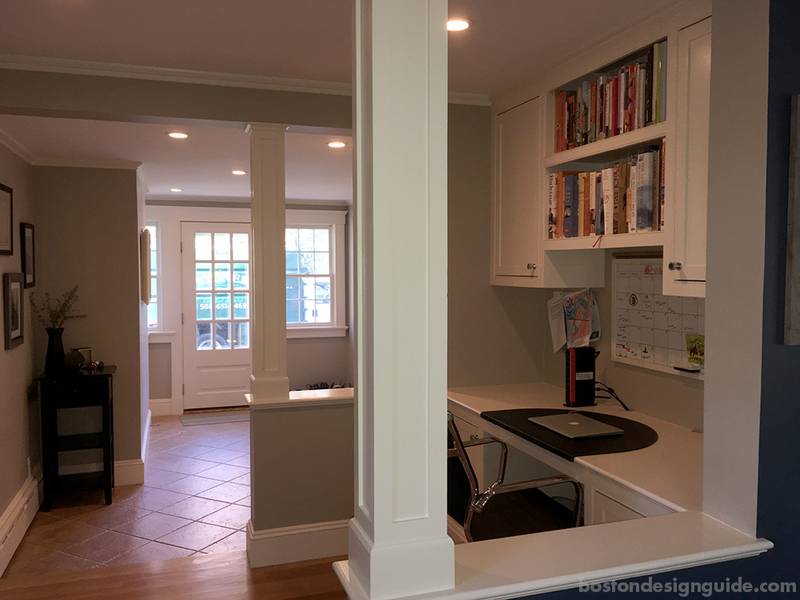 Derek, a finish carpenter by trade, crafted the cream-colored built-ins and moldings by hand. Derek, in fact, save for the kitchen, “built literally everything by hand—in the driveway,” says Kate. “We work really well together.” She knows how lucky she is. 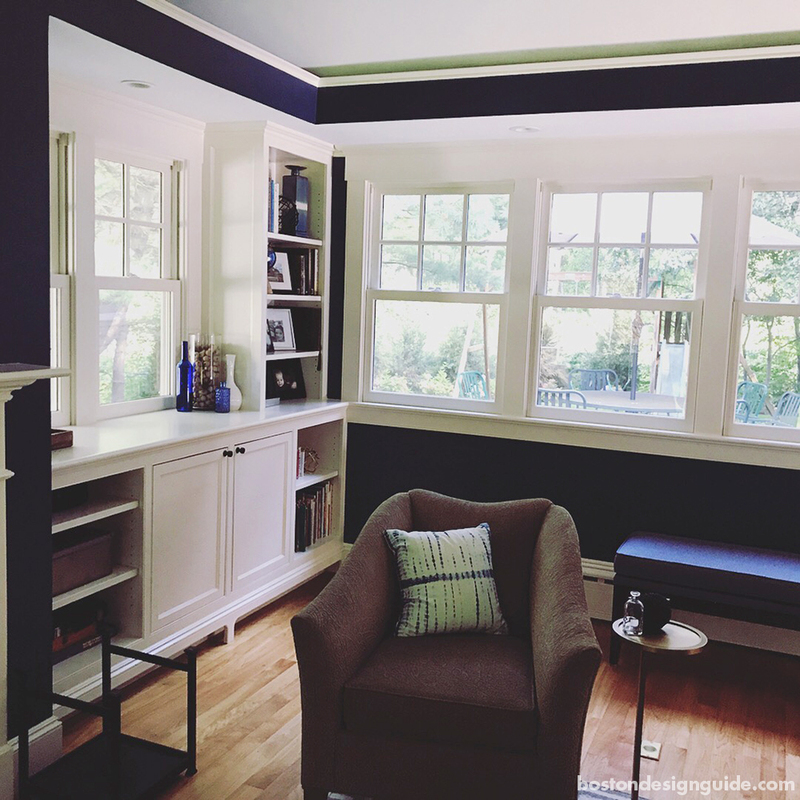 Derek’s craftsmanship is impeccable and, much to the envy of friends, their home is filled with beautiful built-ins and storage. 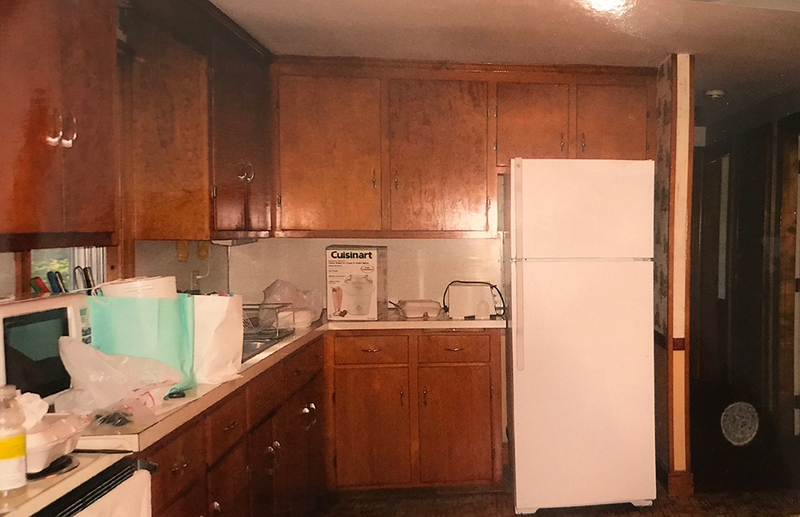 The kitchen was their most recent makeover. Kate laughs when showing the “before” shot: “You can see what we were working with. 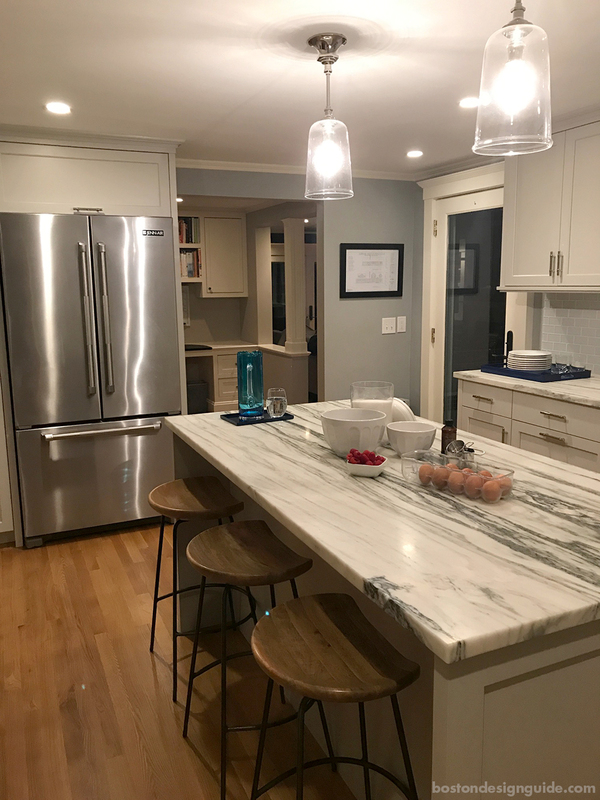 It wasn’t much.” They didn’t have to have to change the layout, however, they did need to elevate the cabinetry, finishes, fixtures and appliances.